Would you like to work on the world of tomorrow? Contribute to groundbreaking innovations and advances in technical knowledge? Are you ambitious, love having freedom in your work and seize opportunities to develop yourself? Then we are looking for you! 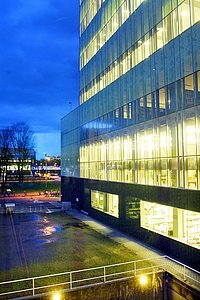 Eindhoven University of Technology is one of Europe's best universities. We are specialized in technical scientific research and provide highly regarded training and research programs. We offer jobs that are right in the middle of society. At international, yet informal organizations. And where you can expect excellent working conditions. The TU/e is constantly looking for scientific and non-scientific staff further its ambitions. Click here for our current vacancies. Are you a student or employee at TU/e? After registration, you can check the internal vacancies at the intranet.